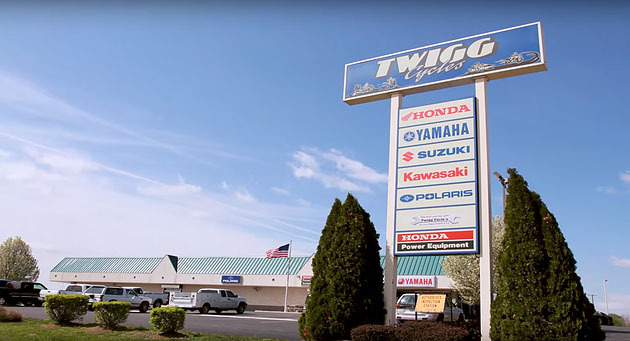 Twigg Cycles, in Hagerstown, Maryland, is in the northwest corner of the state and has been serving Maryland, West Virginia, Virginia and Pennsylvania for 85 years. They pride themselves on being the one-stop-shop for all things powersports related in the Four-State area. Lauren Winnings, Director of Marketing and Promotions, knows that customer service is one of the strengths of this family-owned business and the reason for their continued success over the years. She wanted to find a way to leverage all those happy customers into a strong marketing asset to help earn the trust of prospective new customers to continue growing sales and market share in their area. In addition to the many powerful marketing automation components within the Local Web Dominator (LWD), the one feature that would help Lauren and her amazing team generate an ROI on the incredible customer service they offer is the Reputation Management solution. The LWD program automatically emails customers after their transaction to ask about their experience with the Twigg Cycles team. After leaving a 4 or 5 star review on a custom review site (www.twiggcyclesreviews.com), those happy customers are asked to share their experience on Google. 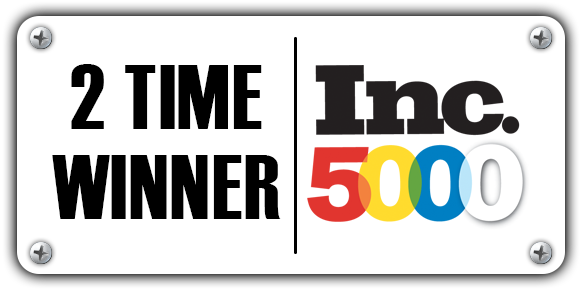 In addition, Lauren and her team are able to sort those reviews on their review site by department and employee to see where they are trending highest in customer satisfaction and which employees are really shining. This Reputation Management system helped catapult Twigg Cycles light years in front of all their local competitors with their Google reviews, making them the obvious choice for anyone looking to buy a metric or Indian motorcycle in the four-state area. 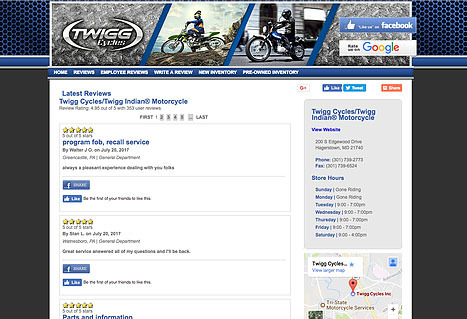 In just a few short months, Twigg Cycles garnered 346 authentic customer reviews on their review site and their Google listing skyrocketed from 81 reviews with a 4.5 star rating to 163 reviews with a 4.6 star rating. That’s 82 new reviews on Google, and the number is steadily climbing. 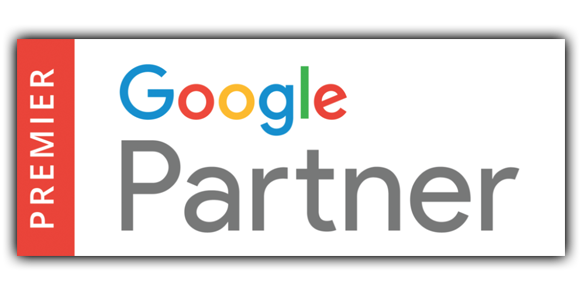 The LWD program has helped automate the review process for a great team of folks who are offering outstanding customer service. By doing so, they are attracting even more new clients from their local and surrounding markets. Positive social proof is a powerful marketing tool.